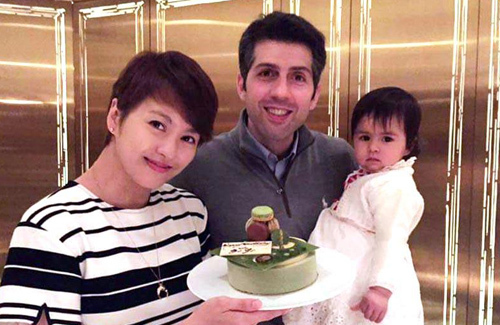 Meeting through mutual friends by chance in Barcelona, 39-year-old Gigi Leung (梁詠琪) and food engineer Sergio Crespo Gutes have been married for more than four years now. 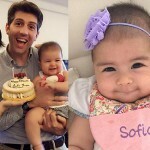 Since getting married, the couple tried for several years to conceive before Gigi successfully got pregnant and gave birth to Sofia in 2015. 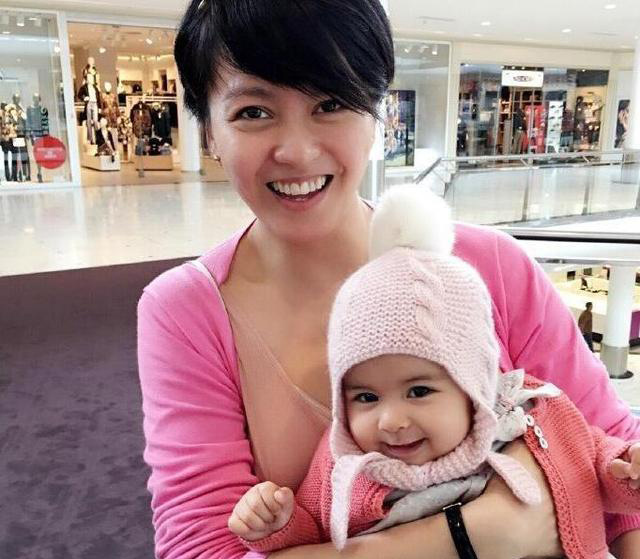 Turning 40 years old recently, Gigi shared many photos and blissful reflections about motherhood. Celebrating her birthday last week with her husband, daughter, and younger brother, Gigi took many photos at the dinner gathering to capture the happy family moments. Her birthday wish is simple, as Gigi only wants “family health and world peace”. If fans want to send her birthday gifts, Gigi urged them to help charities in need instead. 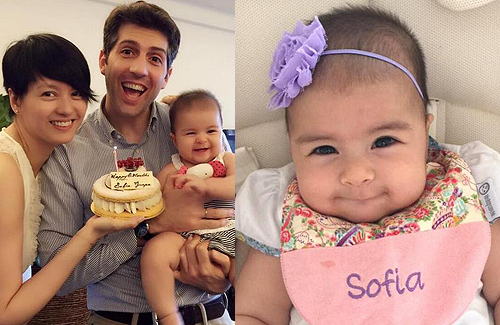 Many netizens left delightful comments, complimenting on Sofia’s cute and adorable features. 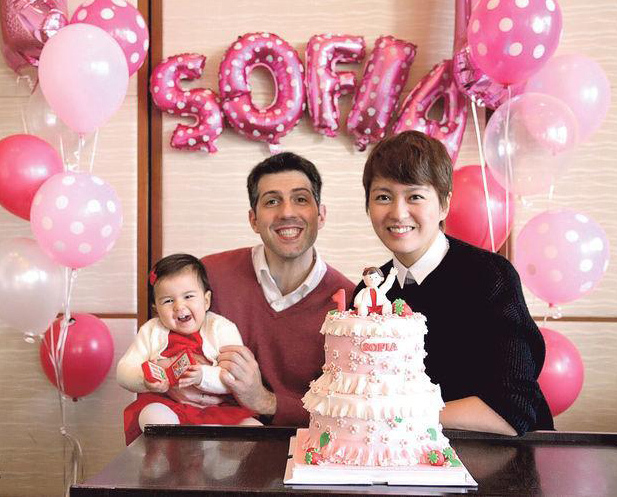 Sofia, who is of mixed Chinese and Spanish ancestry, closely resembles her father. I adore looking at photos of celebrities’ babies! One is such a cute age. 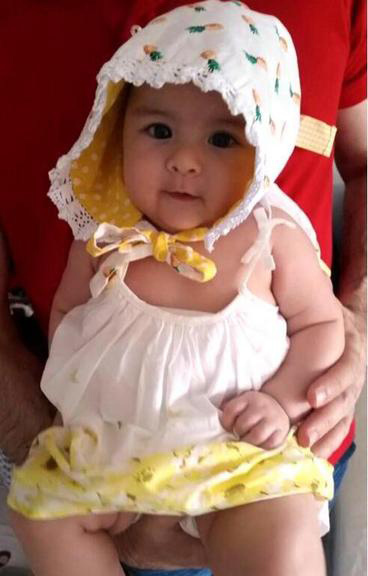 Sofia is a beauty and has the best features of mom and dad. Gigi’s eyes are filled with happiness in every photo she takes with Sofia. Love this!! 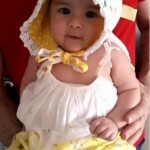 Sofia look adorable!! Huge eyes and def. Look mix! Happy for Gigi and her hubby! That pink cake look so yummy too!!! So happy for them. Perfect photo of a blissful couple and their child. @freedalas I had to look it up too. It sounds like a broad field, but the main goal seems to be using modern technology to make food better (processing/manufacturing methods, packaging/preservation). It’s actually probably a really hot field right now. The article doesn’t say what he does exactly, but he probably has some sort of engineering (agricultural, mechanical, chemical) degree. @sasamii Many thanks. Much obliged. We learn something new everyday. little girl will grow up to be a beauty…such beautiful eyes.